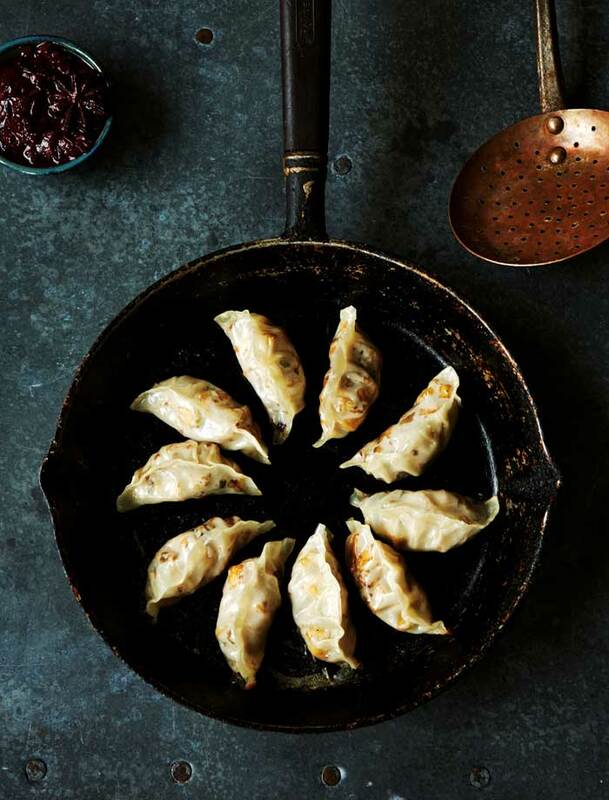 Today I’m sharing a vegan gyoza recipe from V is for Vegan. I just love having dumplings for dinner and the best part is making extra to freeze for later. Then when you have a busy day, you can just pull them out, steam and relax with a good book. I’m hard at work on my next book, so I haven’t got much time to make other people’s recipes. 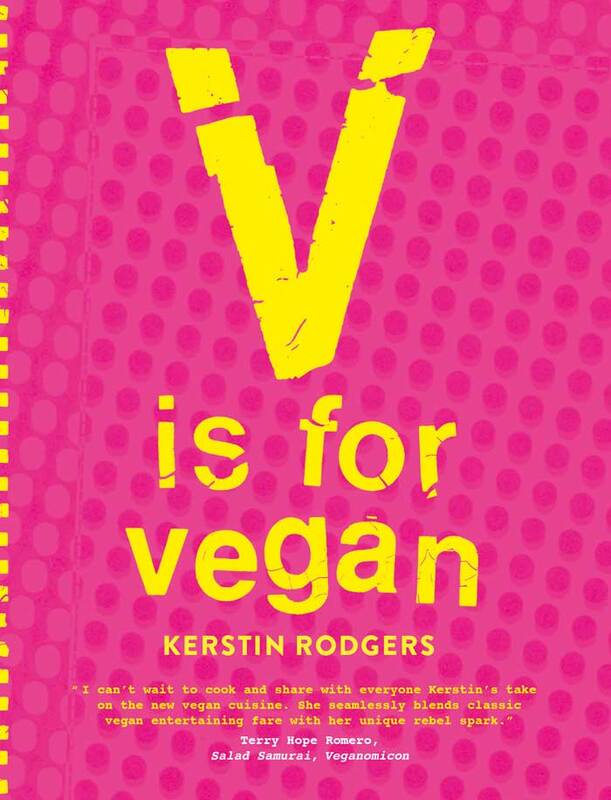 However, I have so many bookmarks in V is for Vegan that I can hardly wait to start making dinners from it. I love Jan Baldwin’s moody and enticing photos. Kerstin Rodgers is the mastermind behind Ms. Marmite Lover and her recipes are bold and full of international flavors. 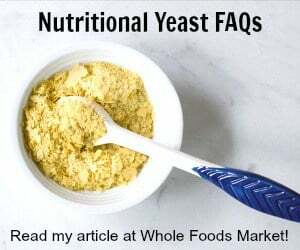 She gives you some basic recipes for staples like homemade tofu and has some easy to make recipes for beginners. All that while still packing the book full of recipes that more seasoned cooks will want to get their hands on. I’m talking about Beet Pelmeni with Herbs and Walnut Filling, Hibiscus Flower Blue Corn Enchiladas or other truly mouth-watering recipes that fill this book. This is basically an Asian version of ravioli, or to be historically accurate, the other way around, for pasta came from China. Buy the little circles of “pasta” from Chinese or Japanese shops, but check carefully that they don’t contain egg. I made these gyoza in a wok that fitted my bamboo steamer just perfectly. A bamboo steamer is very cheap, or you can use a metal steamer. You need a flat surface, as you don’t want to have the gyoza touching each other; they will stick and rip the skin off. To make the filling, put the sesame oil, garlic, ginger, sugar, soy sauce, five-spice powder and cornstarch into a hot wok or skillet and sizzle for a couple of minutes. Drain and dice the tofu, then add to the wok or pan and fry for 5 minutes. Add the white slices of scallion and the mushrooms and fry for 3 to 5 minutes (they will release a lot of liquid). Place a strainer over a bowl. Transfer all the mixture into the strainer and let the excess liquid drain out (you don’t want a very liquid filling, as the gyoza skins will not hold it). Then set up a little gyoza filling station on a table: a small bowl of water, a stack of gyoza skins, the cooled filling and a teaspoon. Lay out a gyoza skin, dip your finger into the water and run it around the border of the gyoza skin. 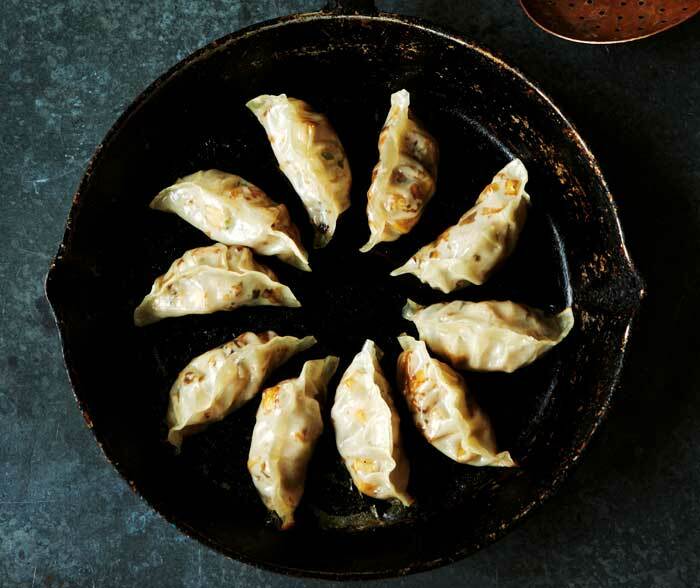 Put a heaping teaspoon of filling into the center, then bring up the sides and press them together to seal the gyoza like crescent-shaped dumplings. Set aside each dumpling on a tray sprinkled generously with flour so that they won’t stick to the bottom when you remove them to steam. When you have shaped them all, place in a steamer, spaced slightly apart. Take a piece of parchment paper and cut into the shape of your steamer. Run it under the faucet to moisten it. Prepare a large pot or wok of boiling water and place the steamer over it. Put the circle of moist parchment paper over the gyoza, then put on the lid. Steam for about 20 minutes, depending on how fresh they are, and on the thickness of the skins. They are cooked when they are translucent. Then fry in a pan too, if you like. Serve with the reserved green scallion slices and the plum sauce for dipping. « Seitan Chimichurri Tacos from Dianne Wenz’s What’s For Dinner? I love your idea of making a bunch of these and freezing some for a busy day! That filing sounds wonderful. That sounds wonderful! I’m in the middle of reading that book as well! Have made these several times now and have people asking for your recipe.